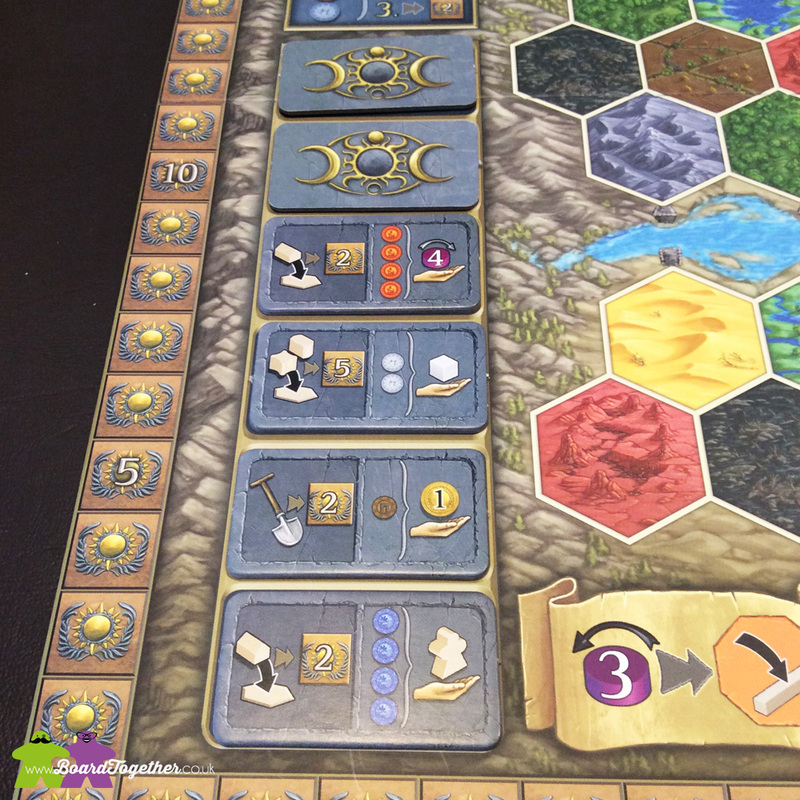 Terra Mystica is a strategy game for 2 to 5 players where you play fantasy creatures building villages and terraforming lands to suit your needs. 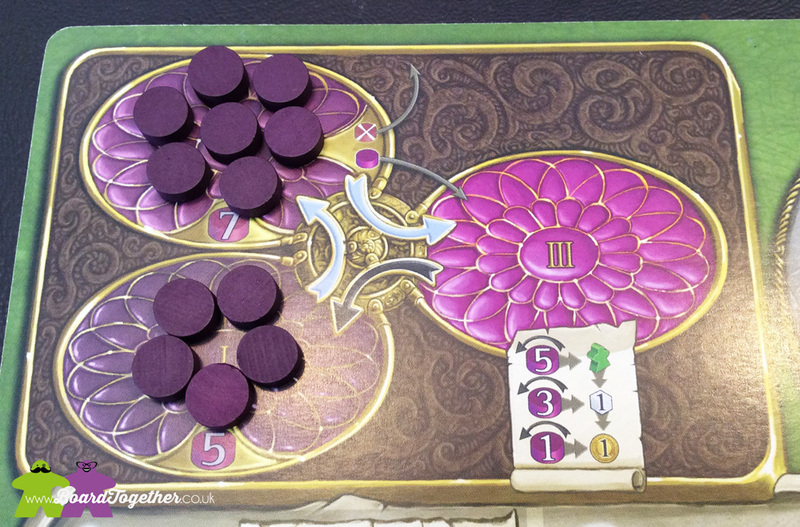 Some games you are drawn to because of the theme, maybe something about the mechanics peek your interest. 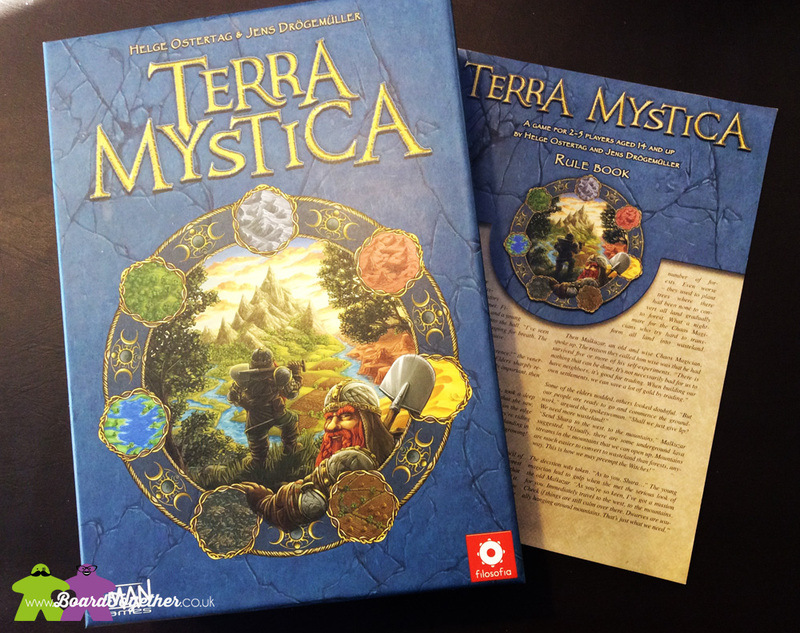 Well for me the thing the drew me to Terra Mystica was the amount of wood in the box. 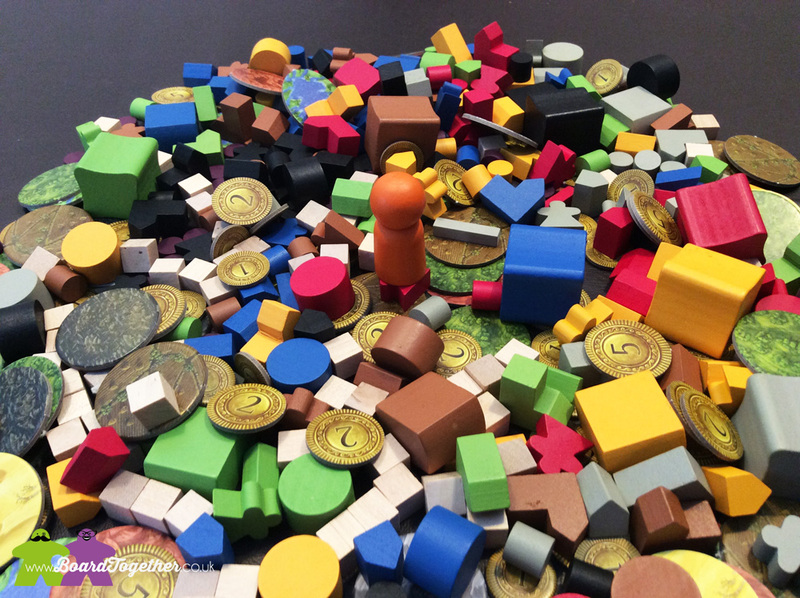 No, seriously, there is almost an entire tree cut into shapes and brightly coloured to create lovely little houses, cubes and meeples. The game is played over 6 rounds with selected actions gaining you victory points. These are randomly selected at the start of the game and also provide a bonus at the end of each round. Each race has a type of terrain that it can build its houses on so you start with a few houses spread across the board and slowly you transform the lands around you, spreading you villages into the surrounding area. All the time you can spend resources to upgrade houses into Trade Houses then Temples, Sanctuaries or Strongholds. 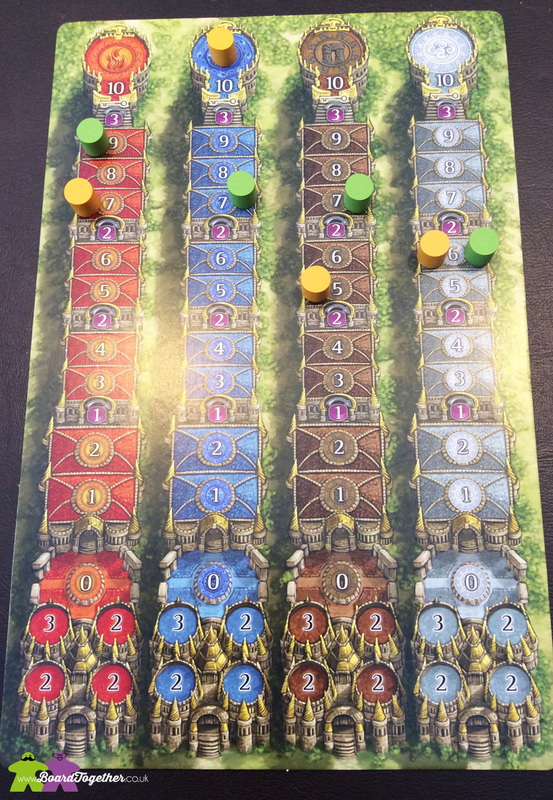 As more buildings are put out onto the board you gain more resources to spend on the next round. Once your village gains a certain points worth of buildings it becomes a village and scores victory points and open the ability to be the head of a cult. Yes, there are cult tracks that you can advance and gain more power and victory points. 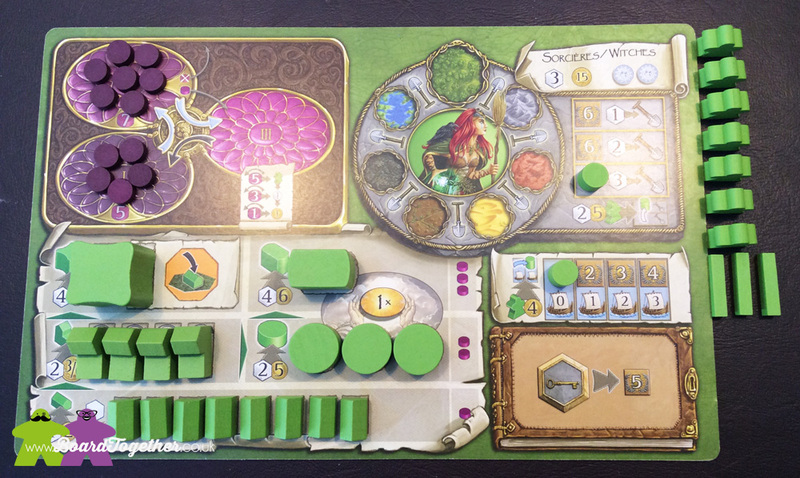 Each race can use magical power which is gained by advancing on the cult track or by building more Trade Houses. This power can then be used to perform special actions or buy more resources. … Ok, there is a lot going on in this game and I could write down every aspect of how you play but the game looks gorgeous, when playing and is a mass of colour. 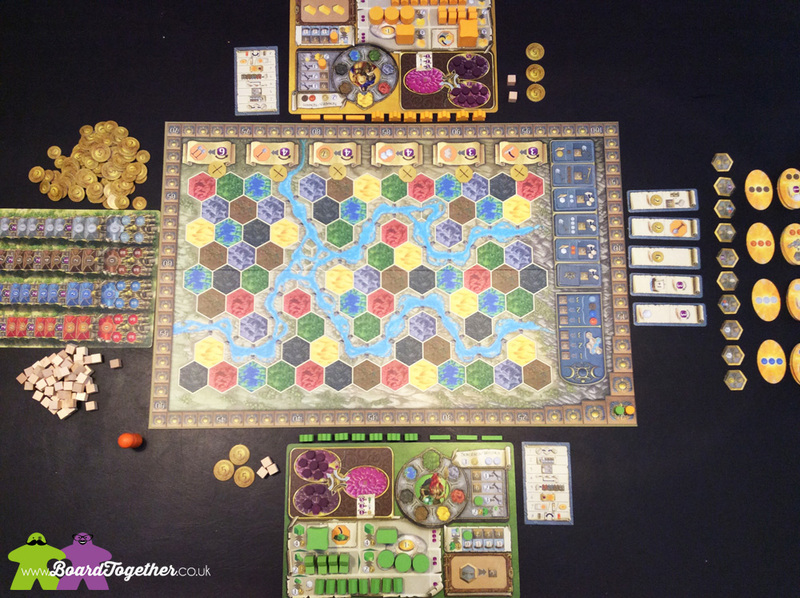 It also looks complicated due to the amount of tokens and rules but once you sit down and start playing you realise it’s not that difficult a game to play. Everything is written down on the player boards and the icons are really easy to follow. 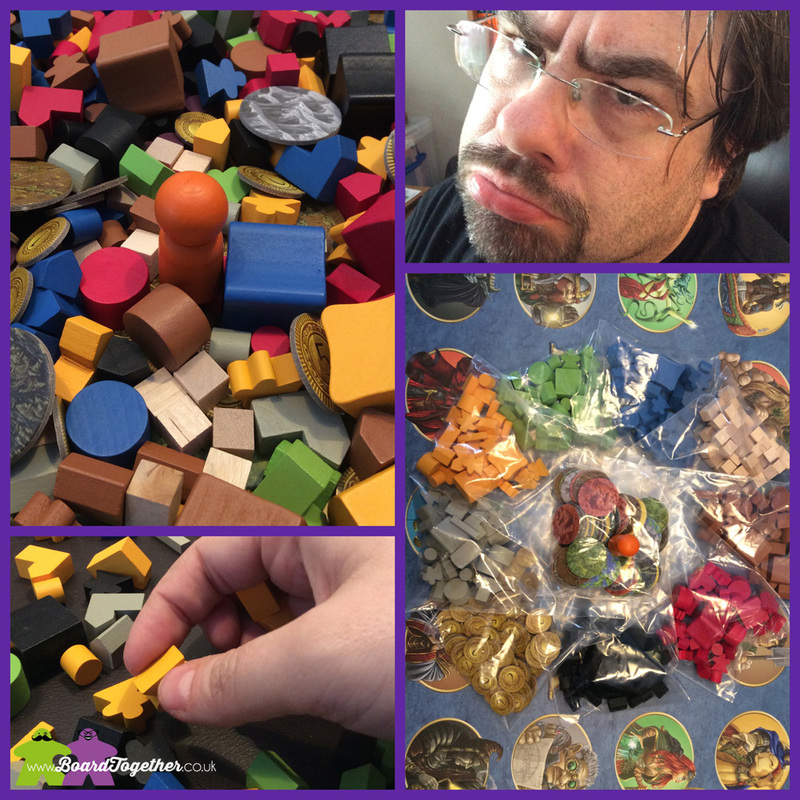 One thing about the game that people may not like is there’s so much going on in this game that it’s easy to run out of resources if you’re not planning carefully. Also if feels sometimes that you are getting points from way too many sources that it’s hard to know what actions to focus on. …Yes, I realise that was technically two items, but sometimes you can overlook a few bad points of a game because you want to love it.